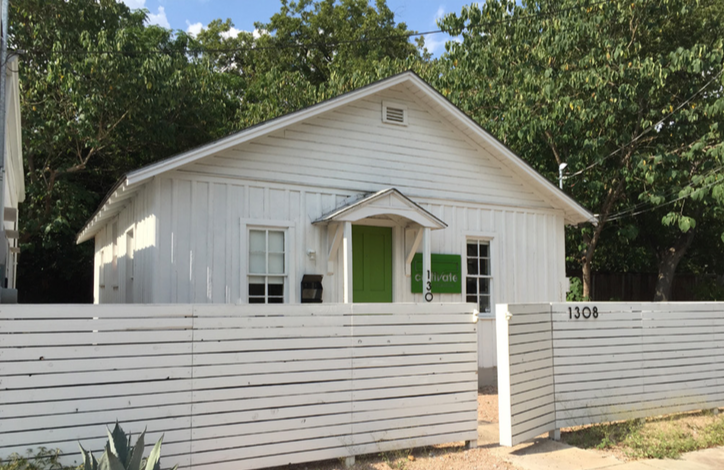 Located in East Austin, these offices embody form and function, while respecting the history and scale of the neighborhood. A small residence and commercial space share a corner lot on East 11th Street/Rosewood Ave. 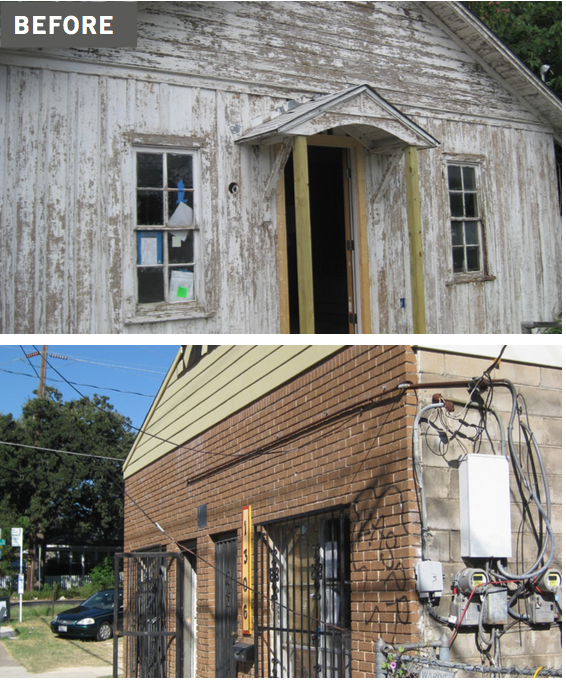 The cinderblock box once housed a barbershop and mobile phone store. We removed the dividing wall to create a large, open space for one of Austin’s favorite architects. Factory-style steel windows were added to the front wall to bring in light and provide security. Next door, the clapboard 576 SF house was taken to the studs and transformed into an office for a busy PR firm. The ceilings were vaulted to add height and some walls were removed to make a large, communal work area and meeting space in the front portion of the building. The house maintains its residential feel with vintage hardwood floors and hardware.